Knowledge is power. And in a serious emergency SHTF situation, it may be the difference between life and death. You need as much up to date information as possible to make correct decisions, and that means that you must have the ability to communicate with your group and to get all available news under all circumstances. When the world goes to hell in a handcart, you will need to be able to communicate with members of your immediate team as well as possibly family members who are distant. In addition, you want to be able to get as much news as possible about the weather and other disaster related subjects. There are a number of communication choices available that you should consider. Personal cell phones, especially those like the AppleIPhone offer some advantages in short-term situations. You probably already have it with you in a sudden emergency. Assuming the cell towers are still operational, your stored phone numbers are easy to access under stress. Many have built-in compasses and GPS navigation capabilities. However, they are battery dependent (like all electronic devices for field use). There are other drawbacks. The cell towers require AC power, and in a grid down situation, your cell phone could be useless. For a short-term, local emergency, cell phones are useful, but for long-term situations they would only be useful for the electronic compass and the GPS (assuming the satellites are still functioning) and you had the capability to recharge them. CB was popularized on a lot of media shows, and as everyone knows, truckers use them a lot. One of their limitations is the range. 1-10 miles is normal. The reason is that they are limited to 5 watts of power. You may or may not be able to contact who you need in an emergency. However a popular and inexpensive model is the Uniden 40-Channel CB Radio. The next category of radio alleviates that problem. Here is where you start getting some good communication potential. Ham radios come in various sizes and require a FCC license to operate. But getting a license isn’t difficult. This organization explains how. Ham radios have the capability for a lot longer range than CB radios. It has to do with availability of frequencies which is a bit more complicated than this article can address. There is a good reference called The Antenna Book which explains these issues in detail. You can get reasonably priced hand held Ham radios such as the Beofeng UV-5R. This is just a brief overview of the types of communications equipment available to those preparing for emergency situations. As always, do your research, decide what you need, and acquire accordingly. If you likes this article and found it useful, please click the “Vote for Me” icon to the right of the page. Thanks! Oh, my, that is one versatile radio. GMRS, MURS (no license required), 2 meter and 440 MHZ ham bands for comms, plus weather band, AM and FM receiver. Price is not bad, either. FRS radios cannot get 35 miles under almost any conditions. They are restricted by law to a very low power and a non-detachable, very poor antenna. True range is often less than a mile. Many FRS radios also include GMRS capabilities, which shares some of the same frequencies and the same technology. GRMS has a much higher power limit and relatively few antenna restrictions, so can sometimes get 35 miles under ideal conditions (including a good antenna, which physically cannot be applied to a FRS/GMRS radio). However, GRMS does require a license, so it is wise not to use the extra power or frequencies in your FRS radio without the license, as the fines are quite high. There is no test required, and one license is good for the entire “family”, but the cost is a bit high, around $80 or $85 the last time I checked. If applying for the GMRS license, you are (or at least were) required to specify your system (area of operation, number of units, power of units). I found that specifying the entire US, maximum allowable power and more units than I started with allowed me to use them anywhere and expand the system without updating the license. If you have the license, GMRS only radios are a better option, or it is possible to disassemble the FRS/GMRS radio and replace the hard wired antenna with a standard antenna connector to which any antenna can be attached. This requires someone who knows what they are doing, as antenna circuitry is much more dependent on layout than normal electronic wiring. Note that if this modification is made, the radio must ALWAYS be used under GMRS license rules, since it will no longer be legal for FRS usage. Actually, truckers don’t seem to use CB much any more, at least not in between cities. Still, CB equipment is good to have, since “everyone” tends to have at least one in their attic or garage. Ham bands include SW (short wave) bands. With the right (tower) antenna and enough power, these radios can communicate around the world by bouncing (“skip”) off the ionosphere. CB is a SW band which does NOT require a license, but is limited in power, so generally is limited to short range communication as mentioned. Shortwave is highly dependent on atmospheric conditions and subject to interference (noise). It pretty much requires a fixed base, although portable SW receivers have value for listening.. Many other Ham bands are higher frequencies which don’t skip well but are less dependent on atmospheric conditions and less subject to noise. These generally are for “line of sight” communications, unless there is a “repeater” within range and still operational, which would be questionable after SHTF. Radios with detachable antennas may be able to have an amplifier plugged in between the radio and antenna to increase its range. This is a way to have both a walkie talkie while on foot, or a “base station” equivalent in your vehicle or base location without the cost of multiple transmitters. 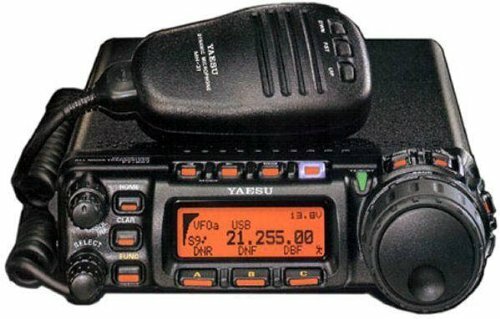 No matter what radios you use for your own comms, a good scanner is helpful to find out what else is going on over the airwaves. Any of these types of radio require power, so make sure to look for rechargeable batteries and recharging capability (solar or wind/water/crank generator). Also, one of the SHTF scenarios is an EMP (ElectroMagnetic Pulse) from a solar flare or nuclear blast, which can fry electronics. Keeping survival electronics not in use in “Faraday cages” (sold metal or metal screen, box or bag) is a good idea. Yes,I’ve heard that,also heard from multiple people that I know they’re still really good radios-despite not getting the FCC cert. They certainly seem like very good radios, and I plan to get a couple – when they are certified. If transmission equipment is not FCC certified, then using it could possibly result in huge fines ($5000, I think). Even if just using the GMRS and MURS functions with the certification recalled would not result in fines, the alleged cause of the certification suspension is that the radio can be set to transmit in a manner not allowed under the rules for those bands, and if that were done, accidentally or on purpose, I’m pretty sure that the user would be at risk for the fines. Of course, the ham and commercial capabilities appear to be just fine, so the radio can be used now on those bands, and if SHTF, the FCC becomes at least temporarily irrelevant. But the problem is alleged to be that the radios can be set to transmit “illegally”, and I suspect the radios will have to be reprogrammed to eliminate those capabilities. It appears that the radios have to be sent to the “fulfillment center” in order to be reprogrammed. I don’t know about you; I’m not going to risk having to ship the radios off. I’ve had my Baofeng for a while but haven’t been able to digest all the in’s & out’s. After my EMT finals next week, I have some catching up to do. Oh yeah, there are some decent Facebook groups dedicated to HAM’s and specific radios, like the Baofeng. Thanks! There is indeed a lot of info out there and I am delving into it. Upgrading my comms is one of my current projects.